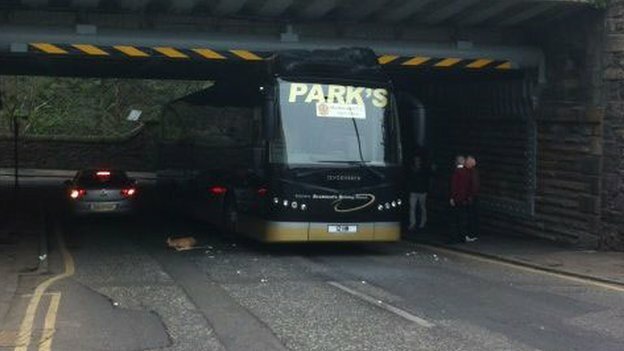 Discovering that the bridge was too low far too late, Motherwell abandoned the bus and travelled by alternative methods. No-one was hurt in the 'crash' except the bus, who was later put down in hospital. It was really weird.